After the Real Techniques Bold Metals Collection, which was really just whatever! I decided to trust their original collection once again, which never fails and targets the one makeup craze that so many love - Contouring & highlighting. 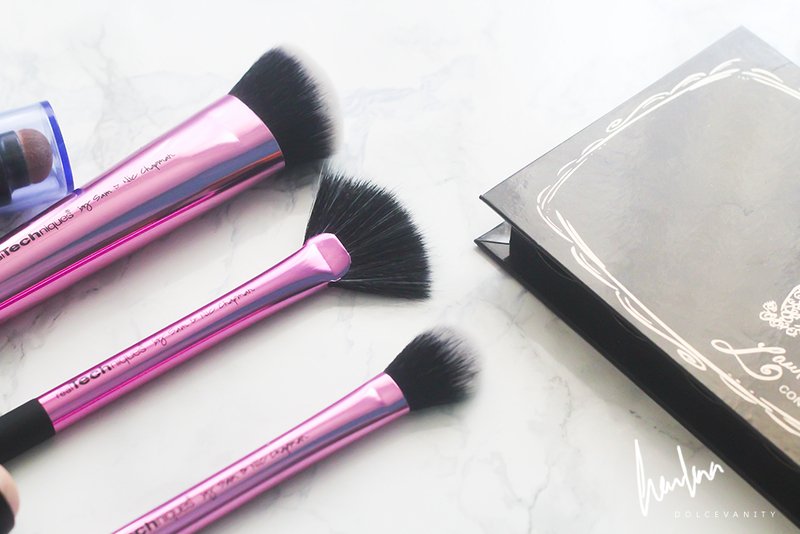 This 3 piece comprises of a sculpting brush, fan brush & a setting brush. I contour and highlight using either creams or powders - sometimes both. I think these 3 brushes are brilliant for the task. 2 of the brushes are available separately yet in this set you get both and a set exclusive. · Sculpting brush: features a wide, angled head specially designed to help create defined contours. This brush is quite dense, it can pick up a lot of product due to this fact, the product just stays on the tip of the brush, if necessary tap off the excess. Then buff out the lines to soften it up. Remember dense applicator – dense application. · Fan brush (set exclusive): softly sweeps on powders + whisks away any excess makeup for an even finish. 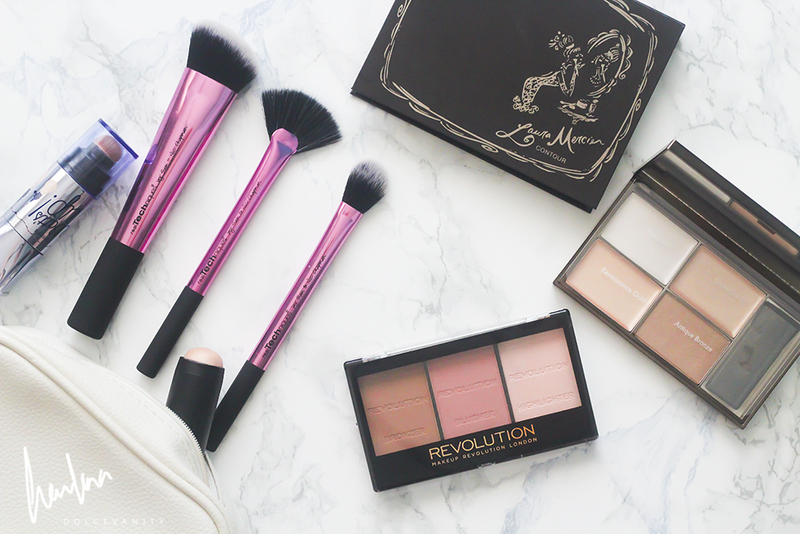 I adore fan brushes, they are wispy enough to just brush onto the cheeks or cheek bones. This brush out of all my other fan brushes might be my most wispy as it fans out to the top, there's barely any hairs. · Setting brush: the key to completing any look with a controlled dusting of powder or highlighter. Another favourite that I couldn't do without. I use it to put my powder for my under eyes, down my nose and also for my highlighter. It's just the perfect size. Have you got this sculpting set?